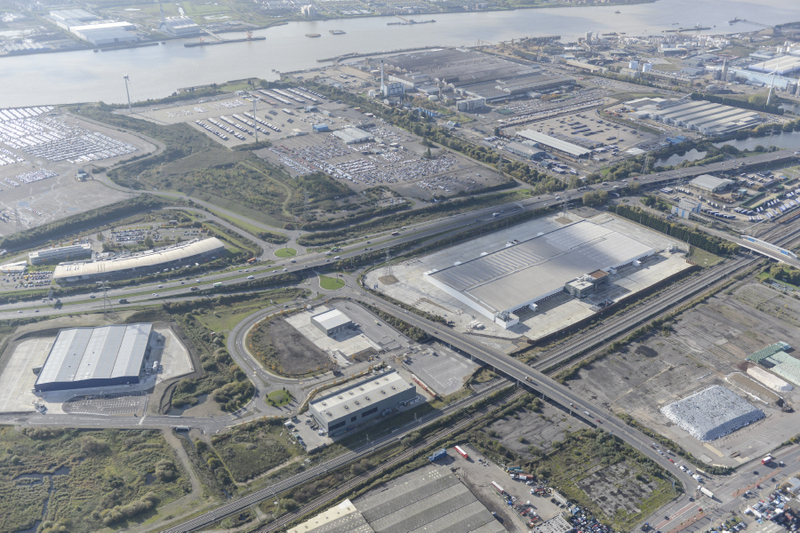 This Project involved the construction of a new 450,000 sq ft Chilled Distribution Centre together with a 110,000 sq ft Recycled Services Unit and a 6 bay Vehicle Maintenance Unit, all located on land formerly occupied by Ford in Dagenham. The site’s previous industrial history meant that it was contaminated and had numerous relic structures within the ground. In addition there was an existing 1050mm diameter trunk foul sewer which traversed through the centre of the site and was orientated along the axis of the building and therefore required a major diversion. The site investigation established that the ground conditions on the site were poor and there was a high ground water level. Consequently it was necessary to use piles to support all structures including the diverted sewer, which created a major challenge. Fairhurst worked closely with the Client and main contractor to minimize the impact of the ground conditions on the development programme. Fairhurst designed the sewer, and all aspects of the civil and structural engineering works, and had a major role in the Acquisition and Planning process. The development site required a full Environmental Impact assessment and Fairhurst also provided much of the technical input to that.